Dmitri Kolesnik, born in St.Petersburg, Russia was steered towards music by his father, an amature jazz pianist who occasionally giged around town. When Dmitri was in his early teens, his father showed him chords on the piano and wrote out bass notes for him to play on guitar. He was soon figuring out his own walking lines. Victor Kolesnik also exposed his son to recordings by jazz artists such as trombonist Frank Rosolino, singer Ella Fitzgerald, pianist Bobby Timmons, and Miles Davis. A friend of his father's who was a bassist brought him a tape of the Oscar Peterson trio with Ray Brown on bass. That clinched Kolesnik's interest in playing the bass, and he began transcribing solos and lines by Brown, Ron Carter, Scott La Faro, Paul Chambers, Sam Jones, Eddie Gomez and others. 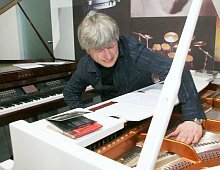 Kolesnik got his Master's degree in engineering, but quit his first job after three months to play music. In order to work as a musician, he earned the required Bachelor's degree from the Mussorgsky College of Music in 1985, and began teaching there. By 1983, he had already been voted Discovery of the Year by the Soviet Jazz Federation, and for six consecutive years was listed among the top six bassists in the former Soviet Union. He played and with major groups including David Goloshcekin's Leningrad Jazz Ensemble and the Igor Butman Quintet, and began appearing at international festivals, where he met and played with top American musicians including Dave Brubeck, Billy Taylor, Jon Faddis and Pat Metheny. In 1990 Jazz Podium magazine he was listed in "Who is who in Soviet jazz of 80s". He spent two years in Germany, where he worked with singer Sheila Jordan, who suggested that he study with Ron Carter in New York. In 1991, Kolesnik moved to New York and did indeed study with Carter. "It was a big dream of mine", he says. "I couldn't believe it, because to me he was an imaginary character. He was my hero". Kolesnik earned his Master's degree from City College of New York in 1996, and taught there wile he completed his studies. He put together an invaluable teaching guide on Carter, featuring transcriptions of 19 bass solos, which was published by the Hal Leonard Corporation. More recently, Kolesnik has become a busy bassist on the scene, appearing at such clubs as Birdland, Iridium, and Knitting Factory. Kolesnik also appeared on several recordings. His first CD as a leader entitled "Blues for Dad", featuring his original music and such musicians as Lenny White, Eric Alexander, Alex Sipiagin and Andrei Kondakov, was released on Boheme Music label in 2001. 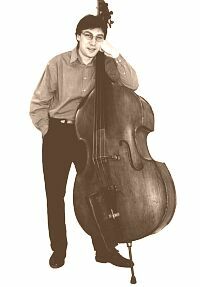 I have listened to the album "Blues For Dad", by Dmitri Kolesnik, bassist, and leader, and have been enjoying every minute of it. Having played with Eric Alexander on several occasions, I am not surprised to see him in such good company. Lenny White has been my dear friend for many years, and we have shared the band stand as often as our schedule allows. This group seems to enjoy playing with him as much as I.
Mr. Sipiagin and Mr. Kondakov are new to me, nevertheless their playing is very impressive. I am so happy to hear Dmitri Kolesnik in this setting, as his sound is warm and big, and his choice of notes is truly inspirational. His playing continues to grow and make his presence on the New York jazz scene necessary. His compositions also merit close attention. This is a wonderful recording!